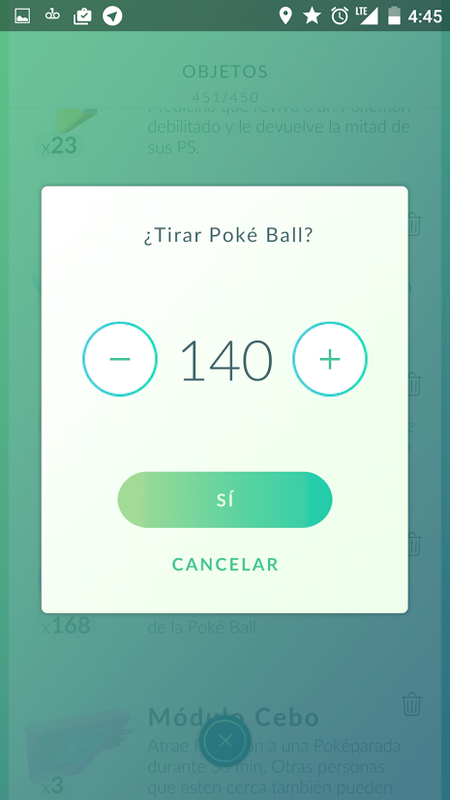 In this guide we present pokestop farming, the method of gaining reliable experience at higher levels by going through pokestops in quick succession on a bicycle. 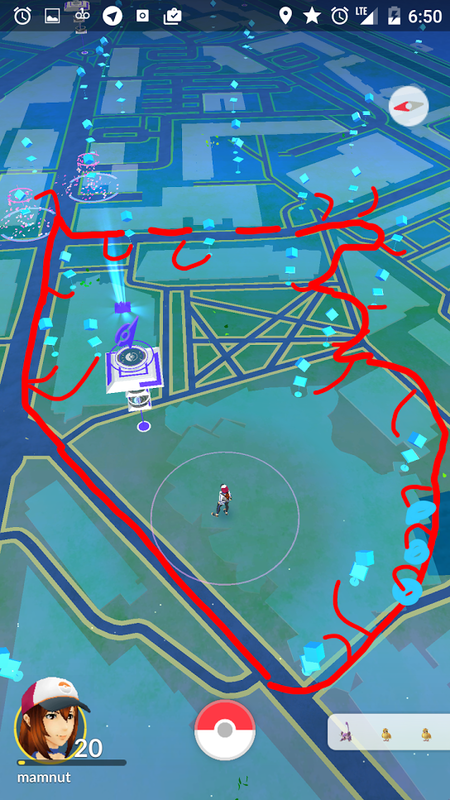 This method obtains experience at a rate comparable to capturing a pokemon every minute, assuming one can pass 4 fresh pokestops every minute. But the times are changing… the Pokemon have sensed your evil deeds, and began sending their strongest champions to defy you. No longer is it just a simple ratata cp10, it’s a full fledged sewer abomination of 400 cp +, that defies all attempts of capture: blows your pokeballs off center, and even your well practiced curve-ball has no effect as it breaks the sturdiest of the balls at ease, spat berries at your feet. And be honest, would you use ultraballs for a mere rat? You’re running out of balls at a rapid pace, no longer can the 4 pokestops studded with lures satiate your mindless consumption of balls. The well oiled candy factory is breaking down. The predominant way of farming experience is that of candy farming, turning low-tier pokemons into candies and feeding these candies back to force evolution, and collecting a huge boost of 500 exp per evolution. Just how efficient is candy farming? We’re going to make the best case assumptions for candy farming, and calculate its effective exp/min. Assuming you have a sick setup where the only pokemon that spawns near your lure are pidgeys, weedles, and others that only require 12 candies to evolve. Let’s assume we’re spawning all pidgeys. This is an incredible rate, to put it in perspective I’m lvl 20 now and it takes 50000 experience to get to level 21. If we’re doing a rate of 532 exp / min, in less than 100 minutes I would be lvl 21. Now we all know that’s some bs that never happens, so what’s the catch? So that’s a rule of thumb. If you’re catching on average 2 pokemon for candy grinding every minute, you’re looking at a pretty good rate of 400 exp / min. 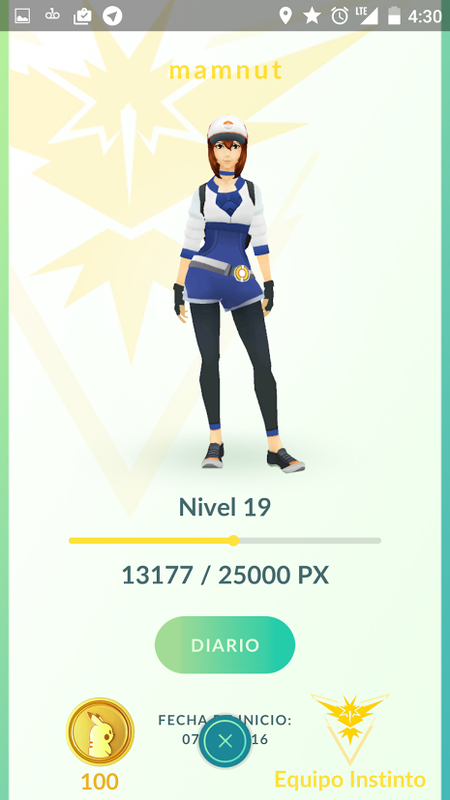 This is assuming you are catching all the time, without actually clicking to transfer, without actually watching the evolution animation, all of which takes more time. Put it simply, candy farming doesn’t work at higher levels because you cannot maintain the rate of 2 pokemons / minute. The issue is not pokemons are not appearing next to the lure, the problem is you run out of balls. –Assuming you are farming in a cluster of 4 pokestops. And don’t get me started at how mindbogglingly boring it is. So that’s great news, as this way of farming does not degrade with level, the sign don’t get harder to spin from when you’re level 10 to level 20, where as a pokemon gets increasingly difficult to catch compared to when you’re level 10. So in your route of pokestop farming, you should take care to catch pidgeys still because they’re worth many pokestops, but ratatas and fearows you should probably just pass. 1) It’s healthy. You’re on a bike, physically active. That’s what pokeGo should be about, instead of sitting on a bench breaking your thumbs. 2) You get to encounter rare pokemons more often. In my night of riding, I was able to get an electribuzz, a growlith, a jigglypuff. Not that they’re rare but I’ve just never had a chance to see them before. 3) you can STILL farm pidgeys. This is a huge benefit. You are traveling long distances, and you can pick and choose which pokemon to capture, and which one to ignore. You are not oblidged to catch the pokemon in front of your face all the time. If it’s a high level zubat, forget about it, I’ll find a cp40 pidgey soon enough anyways. 4) you can hatch eggs. You get 1 incubator. The conversion rate for km to exp is you’ll gain 100 exp for every km traveled. If you’re going fast enough and with multiple incubators this is an extra source of experience. 6) most importantly, really, it’s just more fun… riding around, instead of watching the freaking same pidgeon evolving animation 10 times in a row, it’s mind destroying. I imagine now that I’m lvl 20, I can really push this idea easier because I’d be so rich in ultraballs I can catch anything.